We love custom orders…it’s always amazing to see what people can dream up! 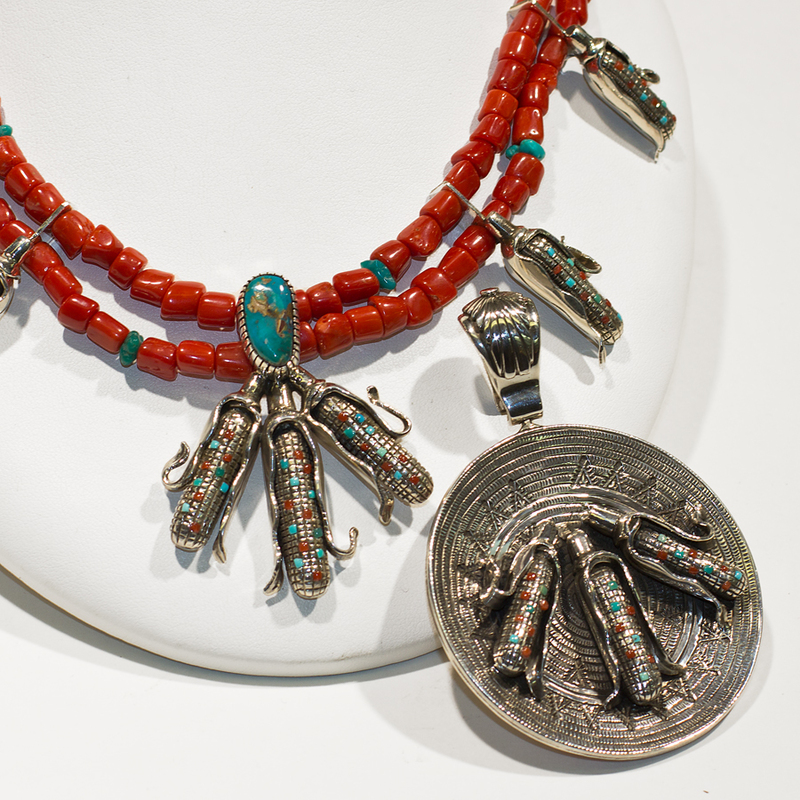 In this case, a customer wanted a necklace with a swappable pendant, and a matching set of earrings. 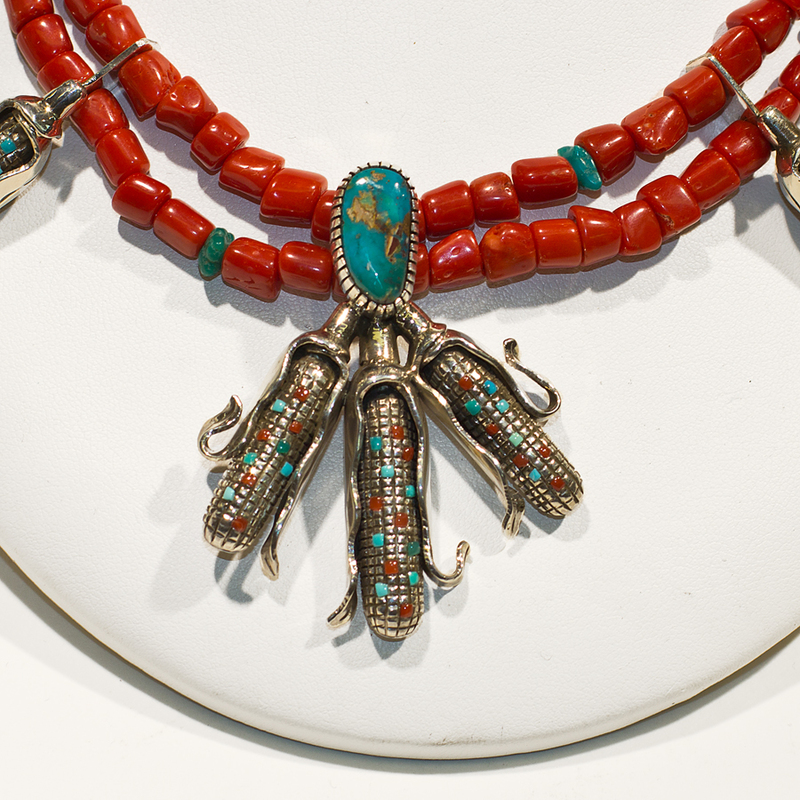 The necklace features rich coral stones with turquoise set as accents in the chain and “squash blossom” layout. 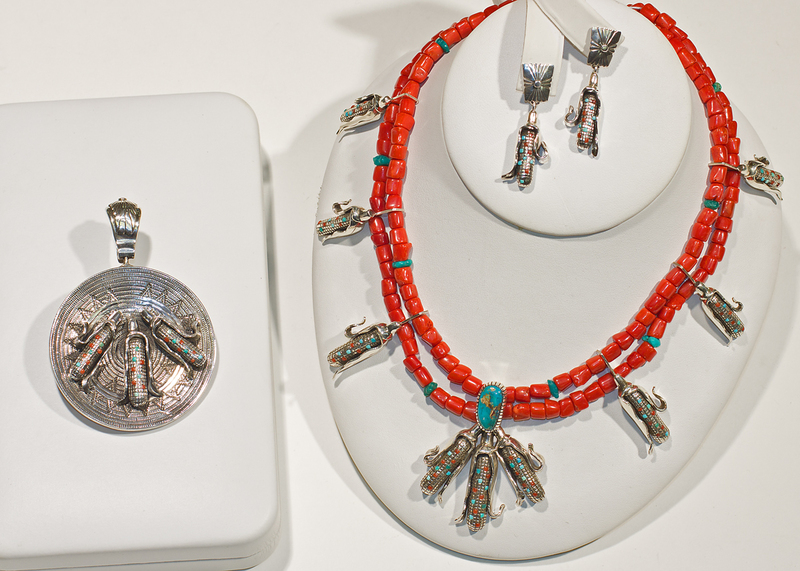 In a twist on tradition, the squash-blossom pieces are instead crafted as ears of corn, and each is set with tiny coral and turquoise stones. 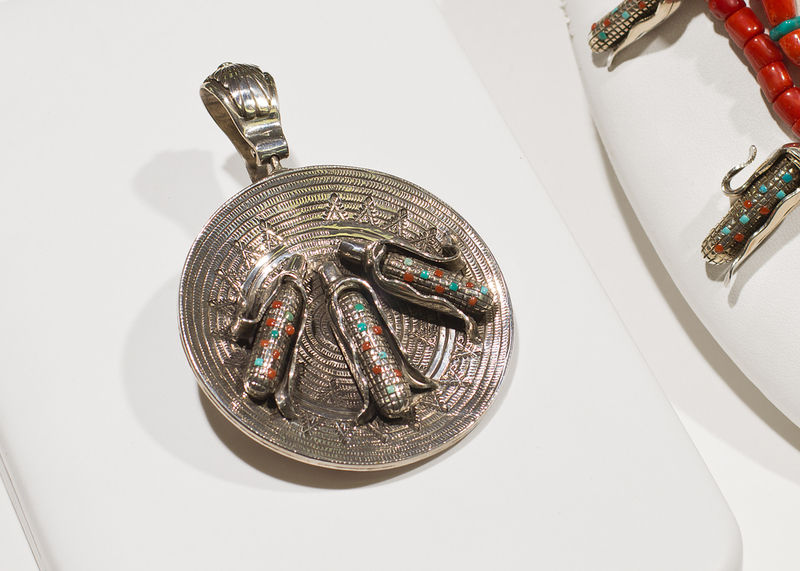 The pendant attached in the photos features a turquoise stone over the bail–which allows for the pendant to be removed. 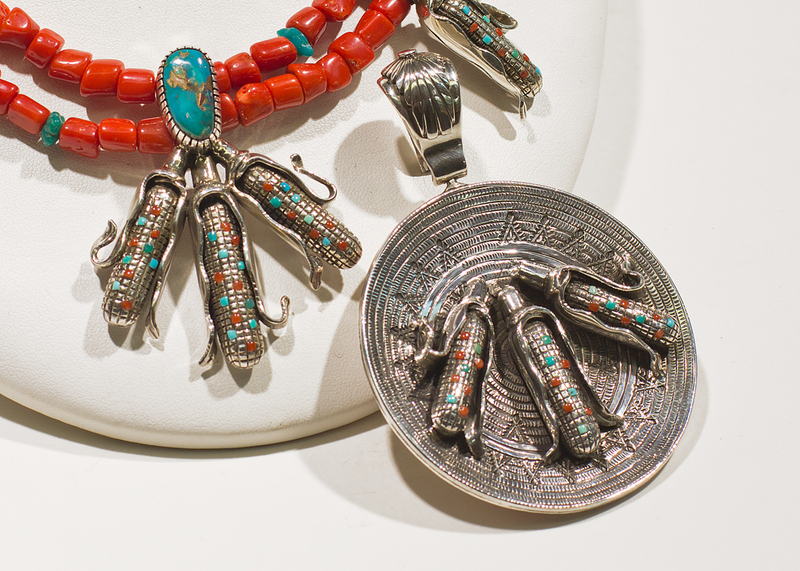 The second pendant (pictured alone, and along side the attached pendant), is reversible, allowing for three unique styles from one necklace. 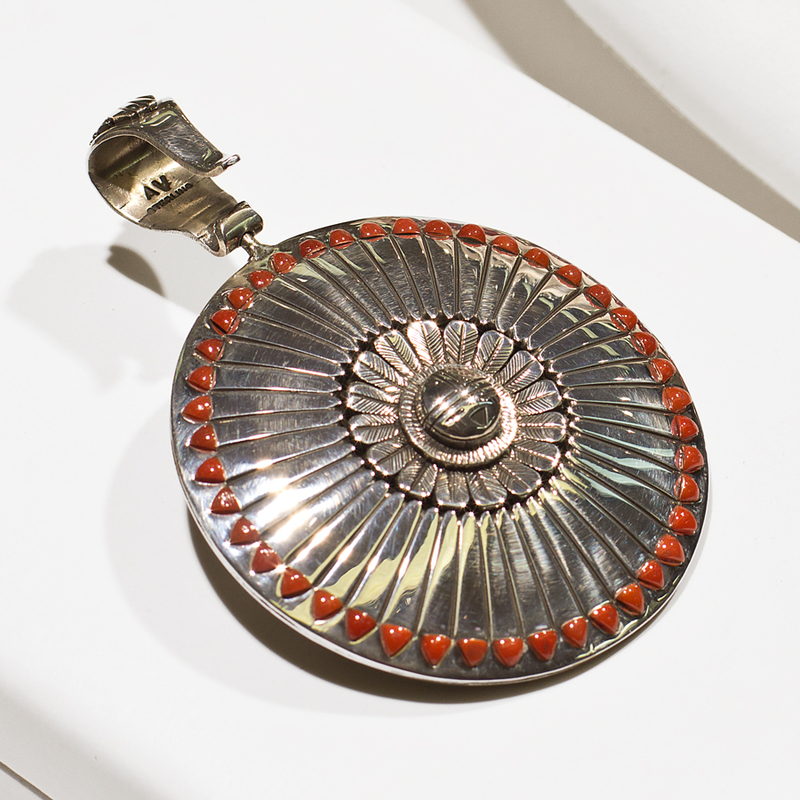 The necklace was designed by our craftsmen who worked with Diane and the customer as the customer’s ideas evolved and finally came to life at the hands of our master craftsmen. Drop us a line and let us know what you think! If you have an idea for a custom piece, let us know! If you can dream it, we can craft it–from the finest materials and with the finest workmanship. This entry was posted in Blog, Custom Gallery and tagged Custom Pieces.